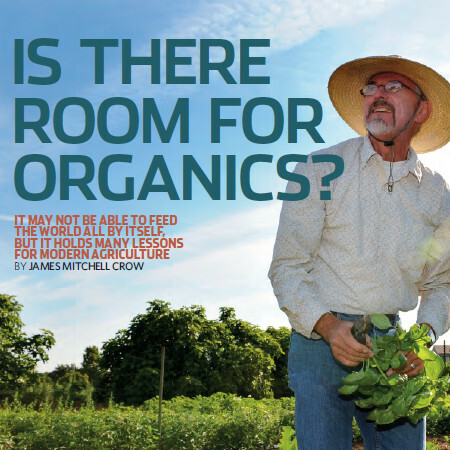 The 2014 Crawford Fund journalism award was won by James Mitchell Crow with his article “Is there room for organics?”. The announcement of the win was made at the Crawford Fund’s 2014 Annual Conference in August held in Canberra, titled Ethics, Efficiency and Food Security: Feeding The 9 Billion, Well. The prize for the award is a visit to a developing country to experience and report on agricultural research for development projects. In 2013, the Crawford Fund joined with the Australian Council of Agricultural Journalists to develop the award that aims to encourage working journalists to investigate the important roles that agricultural research, training and rural development play in relation to food security. “As only our second year of the award, it was pleasing to have the nine entries covering a broad range of food security issues, across a range of media,” reported Denis Blight, the Funds’ Chief Executive. “We hope the award will grow and encourage interest and attention and acknowledge those journalists who display an interest in food security through their thoughtful, balanced, well researched work,” he said.